Wingardium Leviosa! No need to cast The Levitation Charm on me because I am already on cloud nine over the news that a release date has been announced for the NEW Harry Potter “spin-off” trilogy of movies to be penned by J.K. Rowling! Fantastic Beasts and Where to Find Them has been given a release date of November 18, 2016! Ohhh, so far away! Gosh, I hope I’ll still fit in my Hogwarts robe by then. Coming soon to a theatre near you! 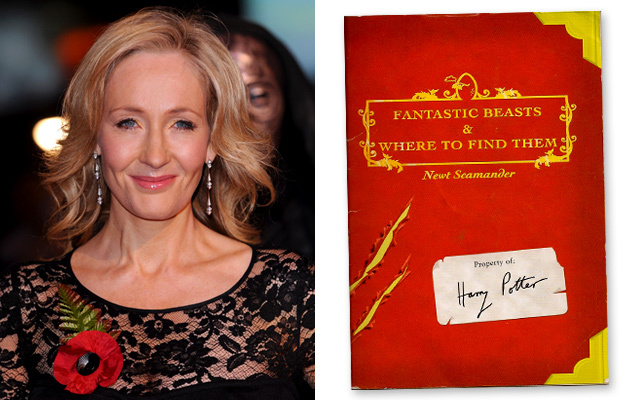 J.K. Rowling’s Fantastic Beasts and Where to Find Them! Warner Bros. CEO Kevin Tsujihara revealed at CinemaCon in March that the studio wanted to follow in the footsteps of “The Hobbit” and create a new franchise of three “megamovies” for “Fantastic Beasts” bringing the wizarding world back to the big screen and making a gazillion Harry Potter fans happier than if they received a lifetime’s worth of chocolate frogs from Honeydukes! 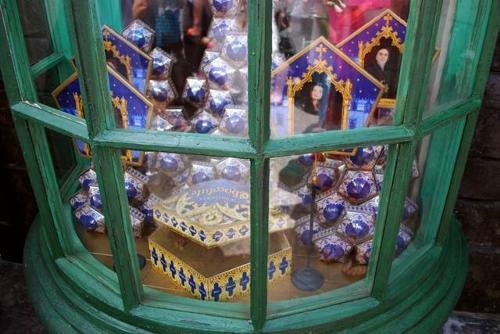 Better than a lifetime supply of Chocolate Frogs! However, before we get too excited and start planning our Harry Potter theme screening parties…J.K. Rowling has been very clear in stating that Beasts will neither be a sequel or prequel to the Harry Potter books…which kinda bums me out because I just CAN’T let go of the fact that Hermione really should have ended up with Harry…and NOT Ron! Something J.K. herself even admitted in a recent interview that Harry and Hermione were “a better match than Hermione and Ron…” DUH! And yes, I KNOW in the final movie, Harry Potter and The Deathly Hallows Part 2, we see Harry and Ginny and Hermione and Ron happily married 20 years on…and putting their little wizards on their first train to Hogwarts. But, couldn’t that simply be some sort of Bobby Ewing-esque dream and Hermione wakes up and discovers, ‘Wow! I’m actually married to HARRY!’…It’s what I’d do if I were writing it. “Fantastic Beasts and Where to Find Them” will chronicle the adventures of its fictional author and Hufflepuff hero Newt Scamander, who is a magizoologist, one who studies magical creatures. 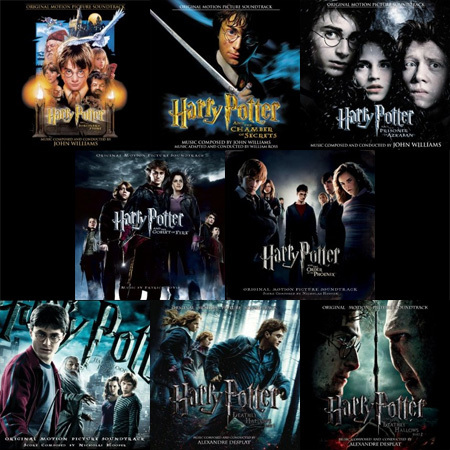 Rowling originally wrote the 54-page book, which is one of Harry’s schoolbooks at Hogwarts, in 2001 between publication of the fourth and fifth Potter books. The saga will begin 70 years prior to Harry Potter’s arrival at Hogwarts and will give us Potterheads and extended look at the wizarding world Harry was born into. 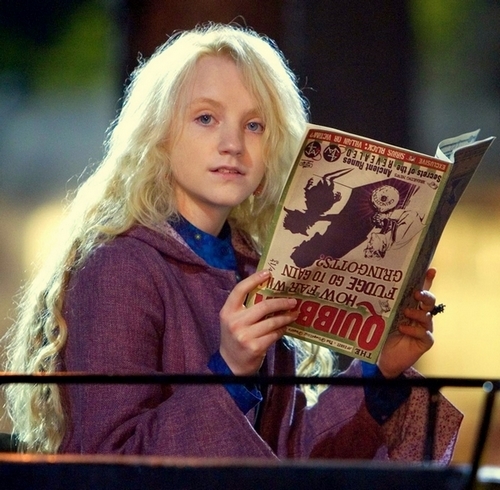 Luna Lovegood…one of J.K.’s faves! No casting has been announced yet. How could it, she’s still writing it ! But if I can call dibs on playing Witch #32 to the left…I’ll start practicing my charms and spells now! In the meantime, I’m going to send a big crate of Chocolate Frogs and Pumpkin Juice to Tsujihara…to thank him for persuading Rowling to return to the magical world she so brilliantly created and write a new story for the big screen in the first place. Thank you, thank you, thank you Kevin Tsujihara! Best…CEO…ever! I mean, I’m sure it couldn’t have been easy. It’s not like J.K., who happily resides in a castle in Scotland, needs to return to the grind of deadlines and the stress of box-office results! But with the eight Harry Potter films having grossed $7.7 billion worldwide between 2001 and 2011…she has absolutely nothing to worry about. $7.7 billion worldwide! You can buy a LOT of wands with that! 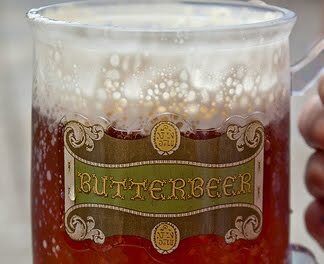 And now, I’m off to enjoy a nice mug of Butterbeer in celebration! Hooray! This entry was posted in Home Page Posts and tagged Chocolate frogs, Fantastic Beasts and Where to Find Them, Harry Potter, Honeydukes, J.K. Rowling, The Hobbit, Warner Bros. Bookmark the permalink.